The development of digital cinema in Europe took a significant step forward with the conference of the influential Europa Cinemas network of independent theatres reaching a consensus on a single global standard. "We can now say that there's total agreement that digital cinema and digital distribution worldwide should only have one standard," said Anders Geersten, Director of Distribution at the Danish Film Institute, who chaired the discussion on the subject at the Europa Cinemas annual conference in Paris. There has been hot debate over recent years among European exhibitors and independent distributors about whether the DCI standard - which governs areas like interoperability and security standards - was suitable for the European market and the demands for cultural diversity. Some had been demanding a separate standard for the continent but it seems the arguments are close to resolution. "We can say that the war on standards is over," said Geersten, who is also Head of the Commercial Module of the European Digital Cinema Forum. Delegates in Paris heard a number of speakers say that smaller exhibitors and distributors would have most lose if the industry shifted from one standard - 35mm - to a set of competing standards. 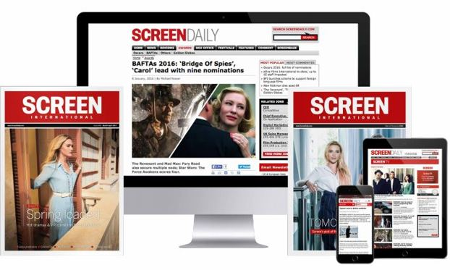 "The only people who would benefit from multiple standards are those who have the resources to deal with three, four or five formats," said Peter Buckingham, head of distribution at the UK Film Council. "For the smaller players, it would be a nightmare and I cannot see how that would benefit diversity,"
Claude Eric Poiroux, director general of the Europa Cinemas network said he believed the benefits of digital were now much clearer to exhibitors. He even suggested that the quality of picture now offered on a 2K projector were now superior to 35mm for many films. "This is going to mean a better life for all of us'it can only enhance the circulation of films." Supporting a single standard makes way for a new phase of debate which may prove even more complex - the establishment of business models, in which the benefits of savings from digital cinema are fairly shared. Consensus seems highly unlikely in Europe.The so-called virtual print fee (vpf) model looks set to succed in the US but Europe is a far more fragmented market and there are fears that the US model would lead to smaller cinema closures and a loss of diversity.